The CleanSpace® Light Crawl Space Vapor Barrier is a tough 10-mil liner that's designed to be installed over the crawl space floor. This product is meant to be installed in tangent with our CleanSpace® Drainage Matting and/or our TerraBlock™ Crawl Space Floor Insulation. 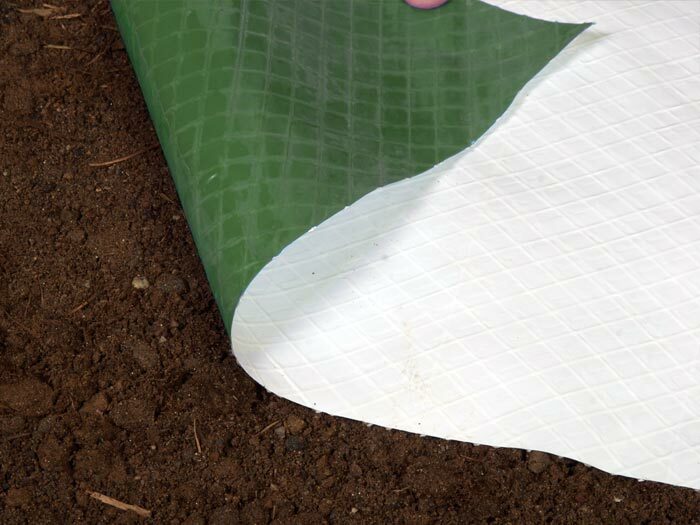 If you're planning to install the liner on the floor directly, we recommend installing our 20-mil CleanSpace® Liner instead. CleanSpace® has been designed with a bright white visible color, which maximizes available lighting. A distinctive UltraFresh™ Additive inhibits the mold, bacteria, and other microbial growth on the liner's surface. Our complete line of crawl space products are just what you need to upgrade your space and protect it from damage from mold, rot, and moisture. We can install a warranted crawl space system quickly, often in a day or less. Our experts are standing by to help homeowners across Canada, the United States, and the United Kingdom! To schedule a free dry crawl space quote, contact us by phone or e-mail today! A proper crawl space liner should be installed on both the walls and the floors, and should be durable enough to resist rips and tears during normal access by homeowners and service workers alike. 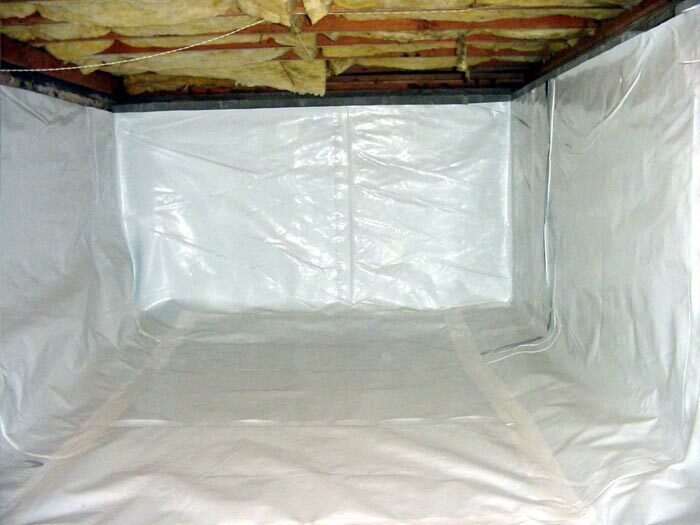 A bright white color is best for the vapor barrier, to maximize the available lighting in the crawl space. 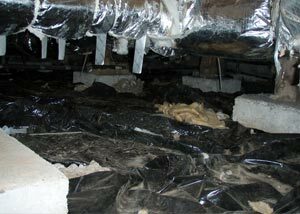 When they're sealing and waterproofing their crawl space, many homeowners also opt to insulate the walls and floors of the space. 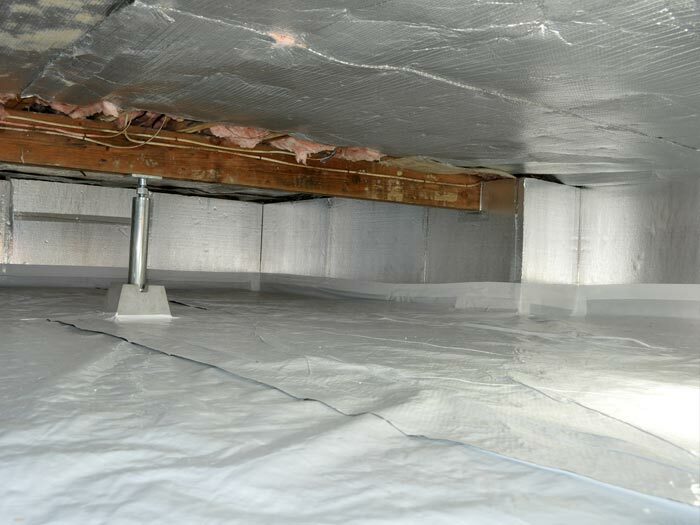 Our crawl space insulation products are designed to also provide a vapor barrier on the surfaces to which they're installed for optimum value. 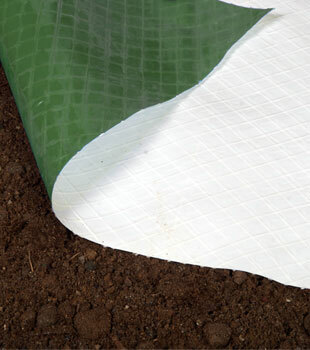 Our floor insulation system, TerraBlock™, includes a 3/4" layer of waterproof foam insulation. Its completely inorganic design will not support mold and mildew growth. To protect the insulation, we install CleanSpace® Light over the top. 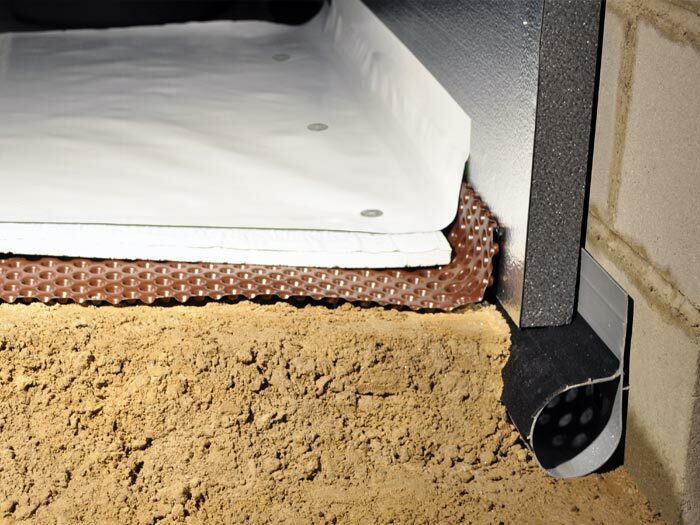 If your crawl space is experiencing flooding, we recommend installing drainage matting underneath the liner. This will direct water from the floor to your sump pump and perimeter drain. Because the drainage matting protects the liner from damage from rocks and rough surfaces on the floor, our thinner, more economical CleanSpace® Light System is the recommended installation in this case. 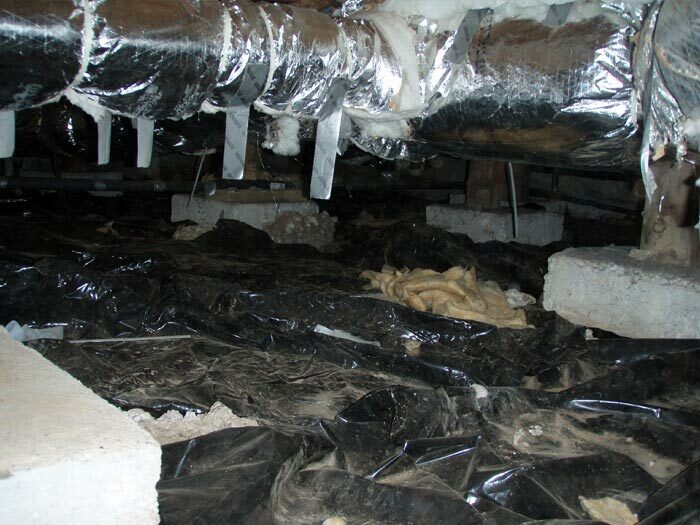 We Can Repair And Encapsulate Your Crawl Space! Our complete line of crawl space solutions are designed to repair, seal, and insulate your crawl space. We can customize a system for your home to address any needs or issues you have with your crawl space. For a free crawl space drain installation quote, contact us by phone or e-mail today! Our international network of more than 300 crawl space companies serves throughout Canada, the United States, and the United Kingdom. Each free quote includes an on-site inspection and measurement, a professional consultation where we answer any questions you may have, and a customized cost quote for your home. Before our visit, we'll also mail along a complimentary copy of our full-color crawl space book. This book is filled with information about the causes of crawl space problems, what they mean for your home, and how we address the issues.